The Lucas Valley development is a good example. 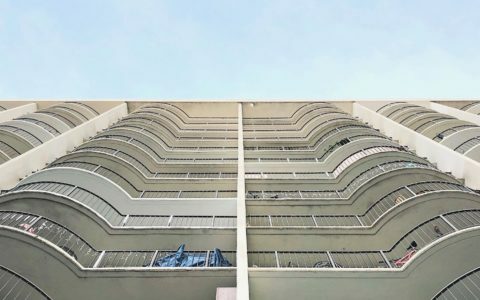 Lucas Valley suggests that modern planning can better enable the patterns and habits of contemporary life than a replay of traditional themes as is often proposed as the solution to suburban metropolis. 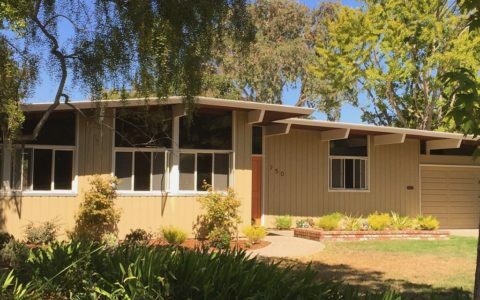 According to Dave Weinstein’s “The CA Modernist” blog; “Our Lucas Valley crowd is on the prowl again, with big plans for this year,” says Frank LaHorgue, one of the founders of the orchestra whose members sometimes play in his San Rafael house. The orchestra, founded in 2011 by four residents of the neighborhood, performs without a conductor – which can be challenging but is worth it, LaHorgue says. 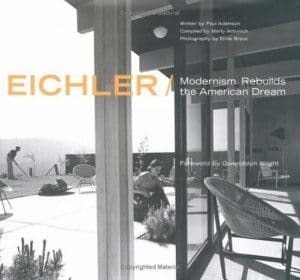 The Eichler development layouts tend to quietly acknowledge the popularity of more casual planning and the residents’ insistent desire for privacy that is part of modern middle-class life. By planning an annual workday, the community of Evergreen Commons can live their private life but sacrifice one day of the year to do maintenance of the neighborhood park, playground, picnic areas and volleyball court. Maintenance, while costly, is kept low by doing most of the pruning, hauling brushes and irrigation themselves. Other members help out with breakfast for the workers and barbeque lunch after the work is done. The ”back-to-front” planning that connects the living spaces with the rear yards, offers a degree of privacy that may enable residents to be more tolerant of one another’s differences than they might be if they were always on display by way of the front porch or picture window. 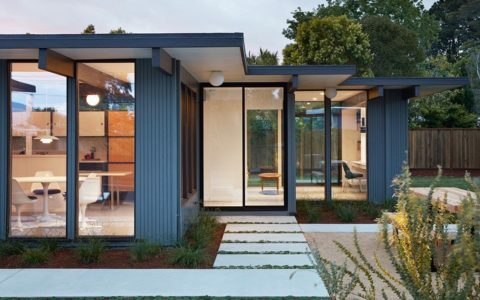 Eichler homes have a distinctive commonality which is the lack of front windows or a display of frosted glass front panels . It may look unwelcome but it is a carefully thought out concept to ensure neighbors closeness yet each within its own private space. At the same time, the Eichler plans do provide ways that people can meet and reconnect on their own terms as the Lucas Valley example where its arrangement of streets and centralized community center, offer equal opportunities for formal social gathering and accidental meetings. Besides annual workday and concert evenings, some communities organize auto shows. It’s not about the cars as such. Its about the community getting closer and sharing common beliefs. The Eichler developments have certainly appealed to a segment of the population that shares characteristics intrinsic to the California personality as the combination of shared public space, open-planned interiors, and street-side privacy amount to an environment very conducive to a California temperament. California is a mixture of many other cultural influences that has resulted in groundbreaking modernist styles that have generated many other interesting and unusual building. 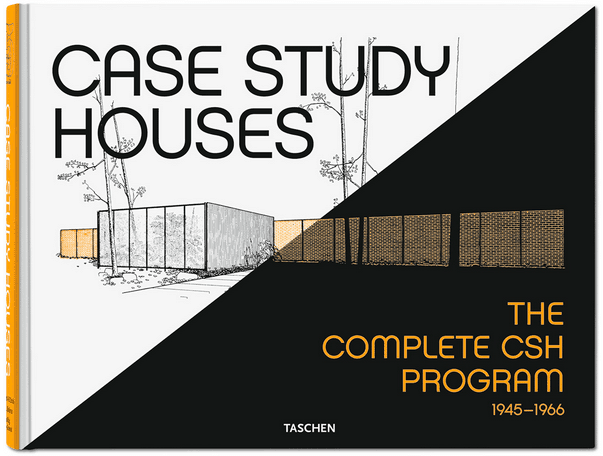 The cover photo is the New Eichler built in Palm Springs. Other photos via The Eichler Network.